Nyarai Mutongwiza works with local partners in Zimbabwe to help young people use story-telling to get their voices heard. 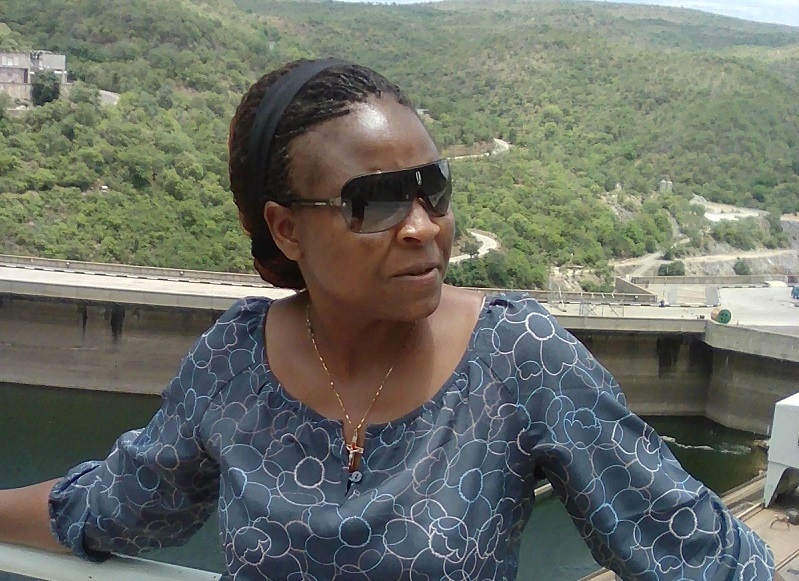 She reflects on how we can all speak up to influence decision-makers. In every culture, stories are regarded as crucial. When I grew up, during evenings sitting around the fire, elders would begin: “Once upon a time…” and the story would go on. These stories were fairy tales, but at the end of each session, the elders would each take a moment to reflect on the emotions in the story and the lessons learned. Through this I began to understand that stories could bring a group together – evoking in every person sitting round that fire certain emotions, and sometimes tears. 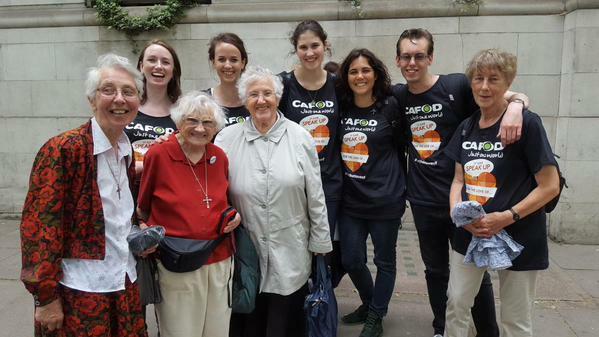 CAFOD, as part of The Climate Coalition, is leading a week of action on climate and energy. In this blog CAFOD volunteer Alice explains how the changing climate is affecting communities in the Philippines. My Step into the Gap year has come to an end, but is still playing a part in my life! Alice (second from right) in Peru as part of the Step into the Gap programme. 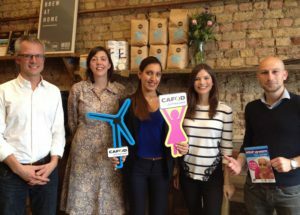 I spent some time during my year volunteering with CAFOD visiting CAFOD partners overseas to better understand how the changing climate is affecting people in communities where they work. The experience has really inspired me to continue volunteering.I heard about the Assumption Volunteers through CAFOD, and I’m now spending a year with them, and am volunteering for the environment office in the municipal government in the Philippines. 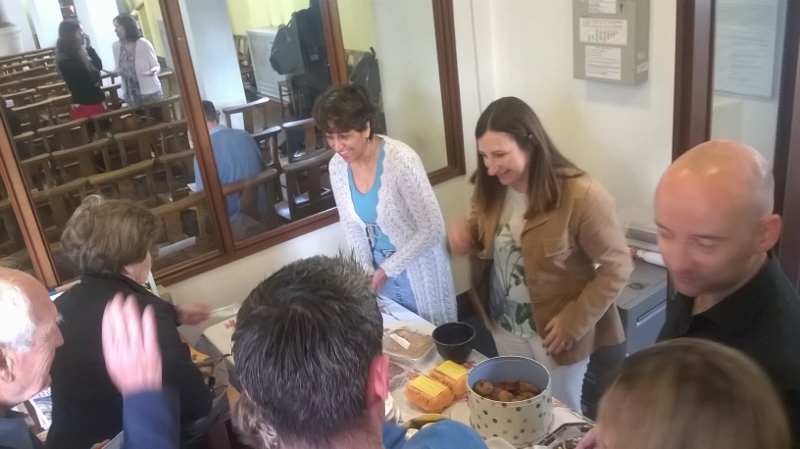 The Chesham Union of Catholic Mothers (UCM) group at St. Columba’s RC Church have a long history of supporting CAFOD’s work with our partners in Brazil. Starting from fundraising to supporting children in need in general, they explain how they came to be a Connect2: Brazil parish. We have always raised money for children who were in need and following a presentation about sewer children in Mexico, we decided to change the focus to South America. 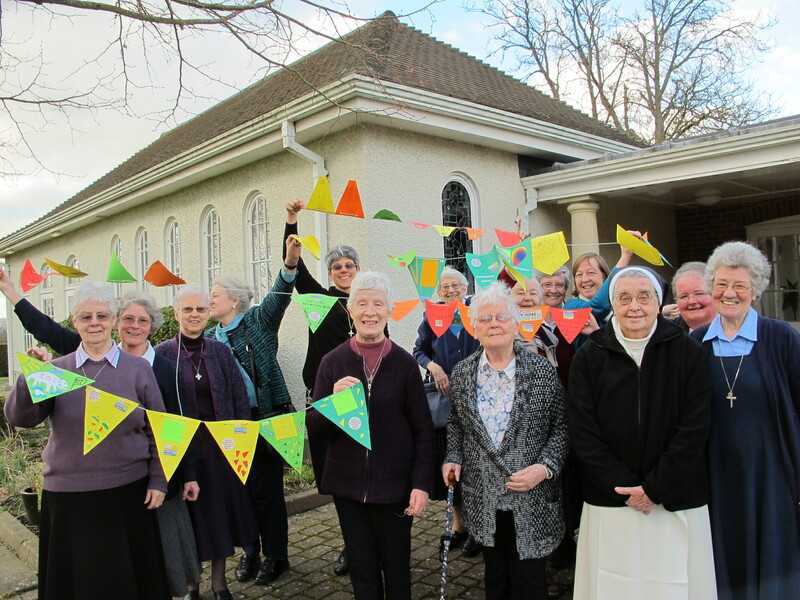 Parishioners, past and present, of St. Columba’s RC Church in Chesham have regularly and for many years donated to CAFOD via the CAFOD Envelopes. CAFOD has been an organisation dearly close to our hearts and is always well supported within the parish. 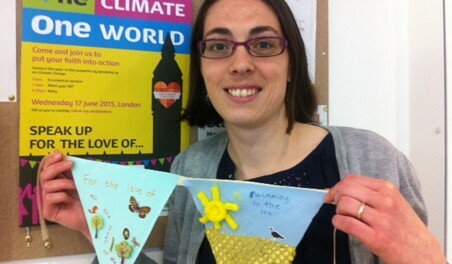 Sarah Hagger-Holt, CAFOD’s Campaigns Engagement Manager, tells us about her experience at the Speak Up climate lobby. 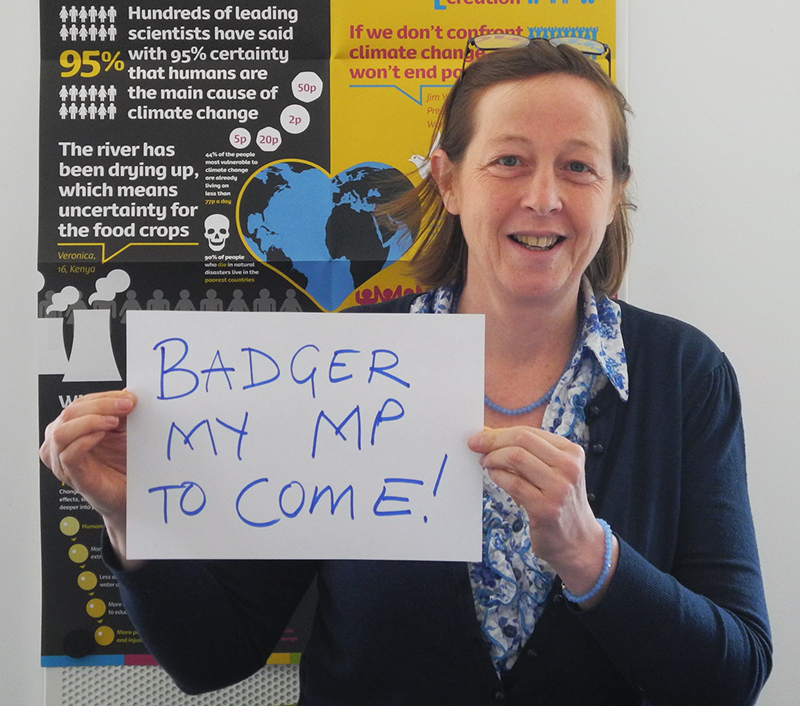 On 17 June, 9,000 people came to Westminster to speak to their MPs about climate change as part of The Climate Coalition Speak Up For the Love Of lobby of Parliament. They came in twos and threes or in coach-loads. For some it was a simple tube ride, while others got up before dawn or even travelled down by overnight bus. They came from almost every UK constituency. 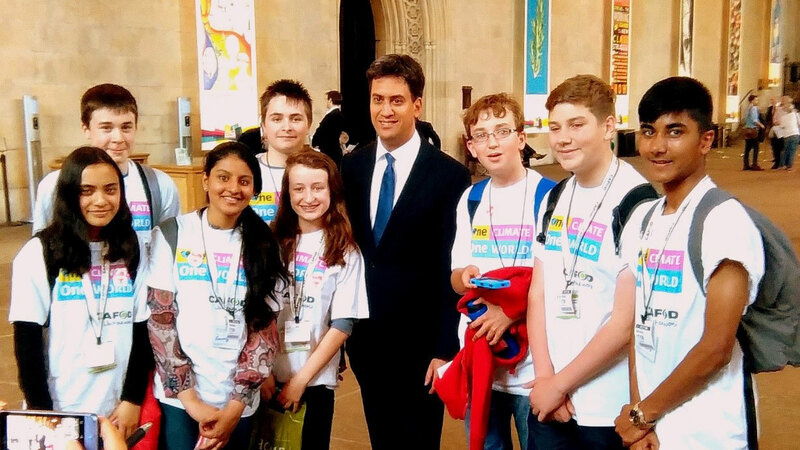 I spotted many familiar faces from past marches and lobbies, as well groups of schoolchildren experiencing their first taste of campaigning for change. I saw parents with their babies sleeping in slings, and caught up with a group of Sisters, all well into their 70s, having the time of their lives waving their banners and chatting to other CAFOD supporters. Students from St Mary’s School, Newcastle, travelled to London on the day of the Speak Up For The Love Of climate lobby to meet their MPs and voice their concerns about climate change. In this blog they reflect on the day. Climate change is a huge issue which has been dramatically affecting our world that we live in, by destroying the beauty of nature, diminishing wild life and even making the poor suffer more. These are just the first consequences of this problem, as climate change is an issue that can affect us all directly and also our future generations. It is a problem that will completely wipe out all life, in years to come. This is why CAFOD is taking action. 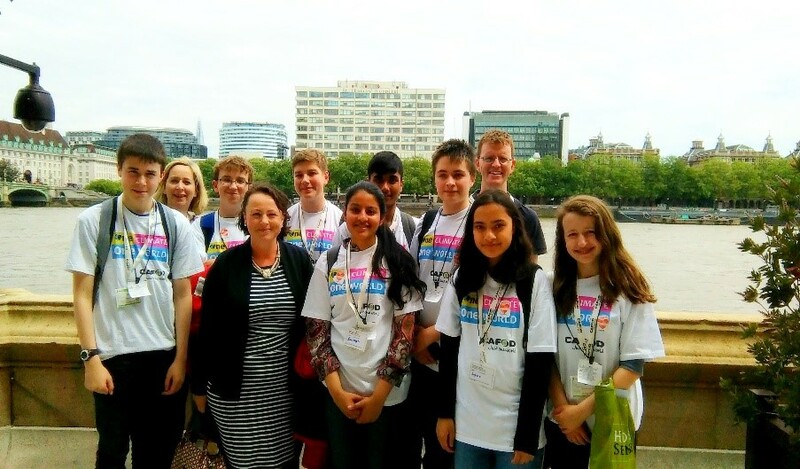 On the 17 of June, CAFOD invited students from various parts of the UK to represent their area and voice their views on climate change to their MPs. We were among the many hundreds and thousands of young people who were keen and enthusiastic to express our opinions and views to our MPs about climate change. 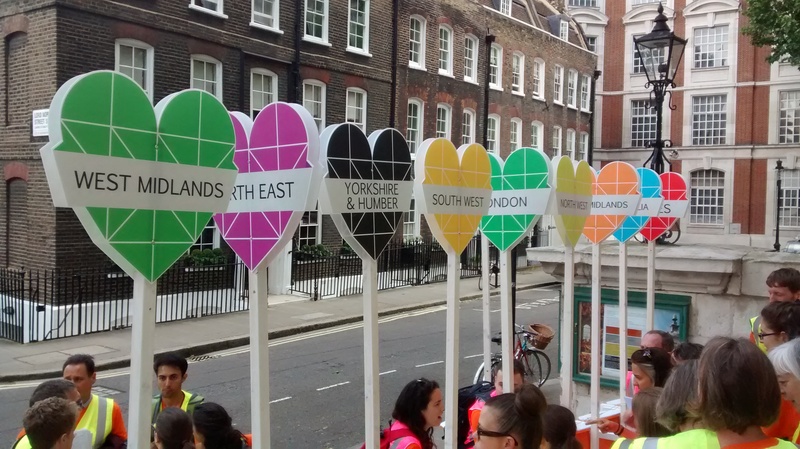 We travelled to London to participate in this significant campaign. After our arrival, we were kindly welcomed to the CAFOD community in London, where we were able to understand more about CAFOD and its work. 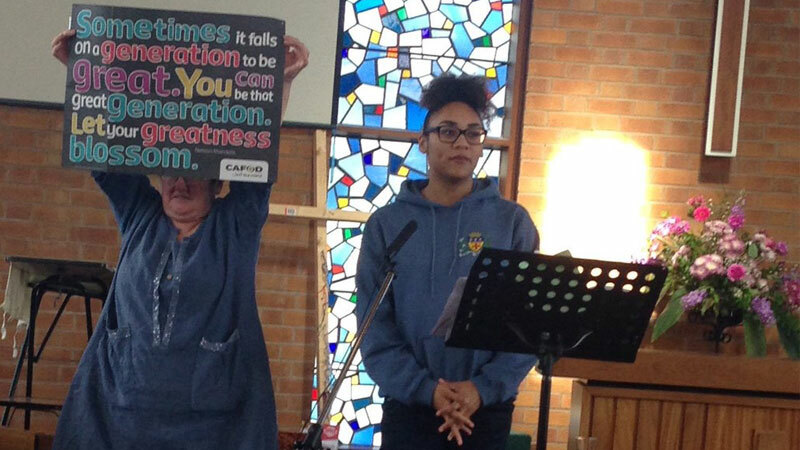 Additionally, CAFOD organised many activities, where we were all able to talk to other young people from different parts of the UK to know more about their views on this matter. 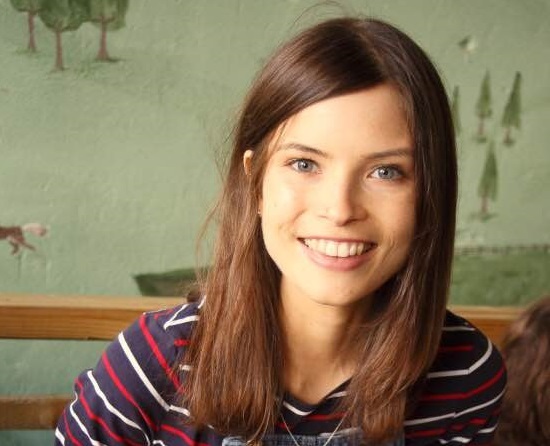 Sarah Croft is CAFOD’s campaigns officer. This is her reflection on the Speak Up climate lobby last week. Find out how you can take action on climate change with CAFOD. When I first moved to London, I had high ambitions. I wasn’t going to become that stereotype of a Londoner, I was going to say a cheerful morning to people on my way to the office, I was going to break the ultimate rule and make eye contact with people on the tube. Fast forward three years, and a couple of awkward conversations about my staring, I am sorry to say it did not last. My conversations quickly became limited to sighing about delayed trains or the weather.